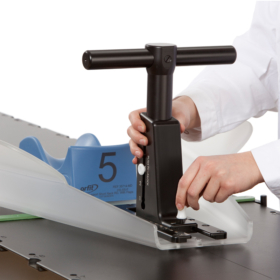 The Orfit High Precision Lung Board has a unique and innovative feature with its T-shaped hand grip that is adjustable in height. 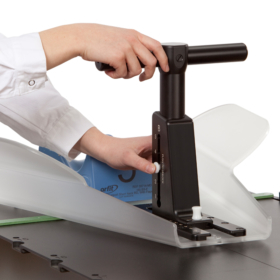 This feature increases patient comfort and positioning reproducibility. 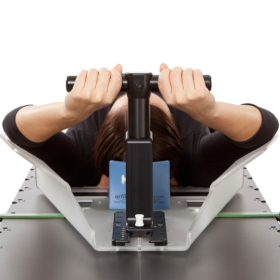 The arms can be easily extended above the head for treatments in the thorax and lung area. The hand grip can be moved in inferior and superior direction and locks once in place. 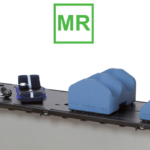 The lung board can be combined with the standard Orfit High Precision Head Supports with cranial stop.